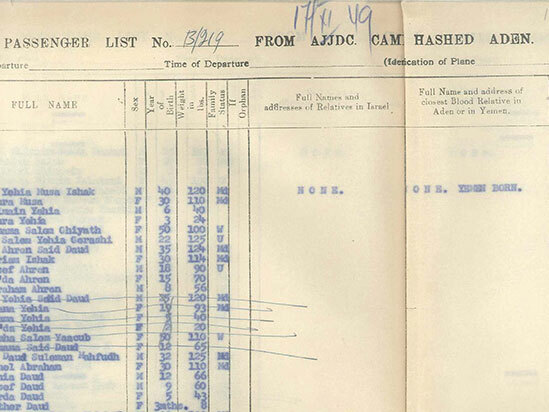 Historic records detail JDC’s role in “the largest human airlift in history,” bringing 49,000 Yemenite Jews to Israel. JDC’s newly digitized Aden records detail JDC’s rescue and relief operations in the British Crown colony of Aden. 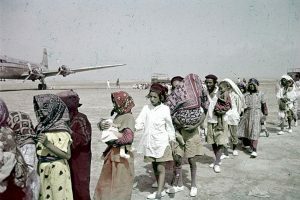 Aden was the backdrop for Operation Magic Carpet, “the largest human airlift in history,” which brought almost 49,000 Yemenite Jews to Israel from December 1948-September 1950. JDC organized and financed the operation. Browse images of Operation Magic Carpet. Listen to Alaska Airlines president and pilot James Wooten’s moving account of one of the first flights of Operation Magic Carpet in 1949! 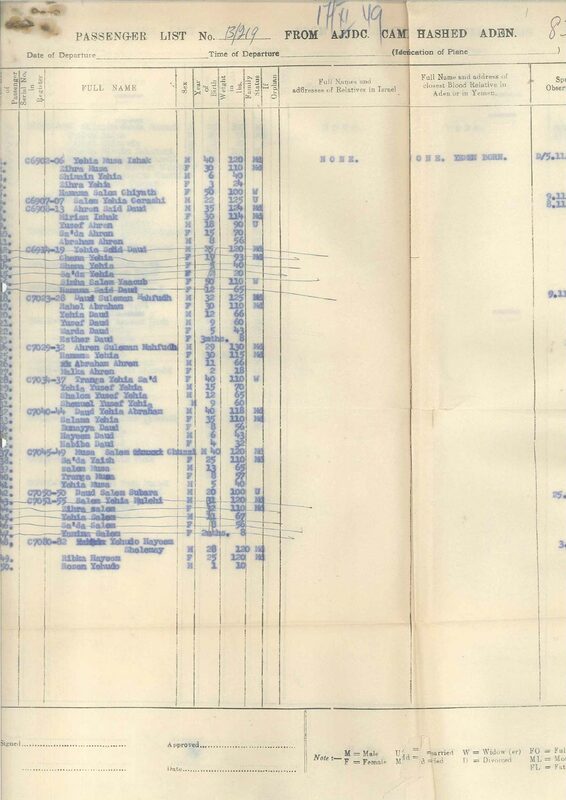 This collection includes detailed passenger lists of the airlifts (example below). 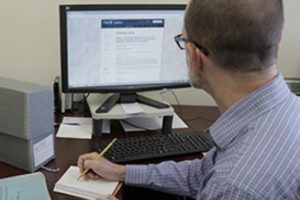 These incredible genealogical resources will soon be available to researchers through our Names Index.